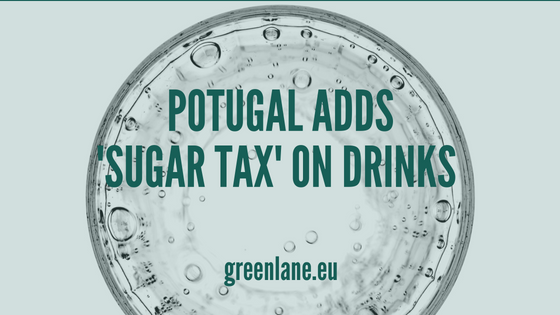 HomeBlogExcise DutiesSugar Tax in Portugal: Are You Liable to Pay the New Tax on Sugary Drinks? Sugar Tax in Portugal: Are You Liable to Pay the New Tax on Sugary Drinks? Through the State Budget Law for 2017, the Portuguese Government introduced the so-called “Sugar Tax”, which entered into force in 1 February 2017. The introduction of the Sugar Tax in Portugal followed calls from the World Trade Organisation urging countries to start taxing sugary drinks in order to lower consumption and reduce obesity. Which are the drinks covered by the “Sugar Tax” in Portugal? (iii) concentrated syrups or powders. The new tax will not apply to all kind of drinks. For instance, food products are exempted from the tax. This is the case for milk, soya or rice drinks; juices and nectars of fruit and seaweeds or vegetables and cereal, almond, cashew and hazelnut drinks. Beverages considered as foods for dietary requirements are also exempte and so are those resulting from the dilution of concentrated syrups and/or powders (provided that the tax on those concentrated products is already paid). When will drinks sellers have to pay the “Sugar Tax” in Portugal? Sellers with sugary drinks covered by the “Sugar Tax” in their establishments on 1 February 2017 had to account for and report to the Portuguese Tax and Customs Authority the respective quantities, although the tax is only due as of 1 April 2017. Do you have a question or comment about the new “Sugar Tax” in Portugal (or a similar matter in any other EU State), please fill in our contact form, email us or leave a comment below this article. GreenLane is a unique cooperation of independent European law firms specialized in customs and international trade law. We provide companies a comprehensive solution for customs and international trade law services across the European continent. Subscribe to our blog for regular updates.